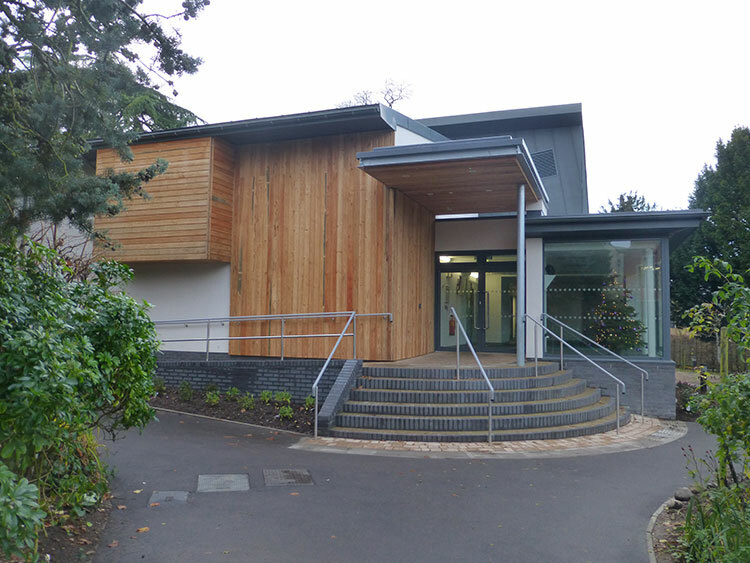 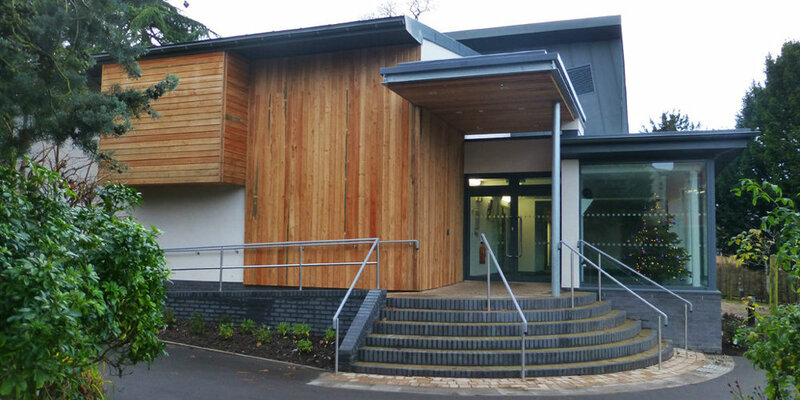 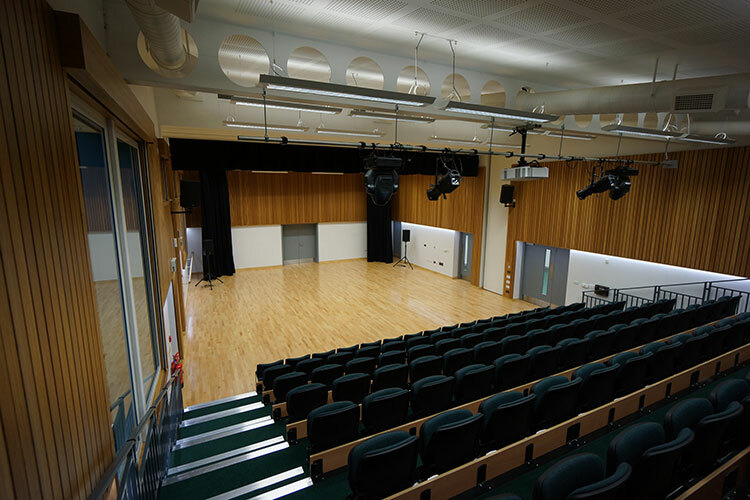 "Its garden setting and large entrance foyer enrich the cultural experience of performers and audience alike"
A challenging site at an Academy Trust school in Colchester, Essex set within mature trees above and important Roman archeology below, the building is designed to provide a flexible performance or teaching space for the school. 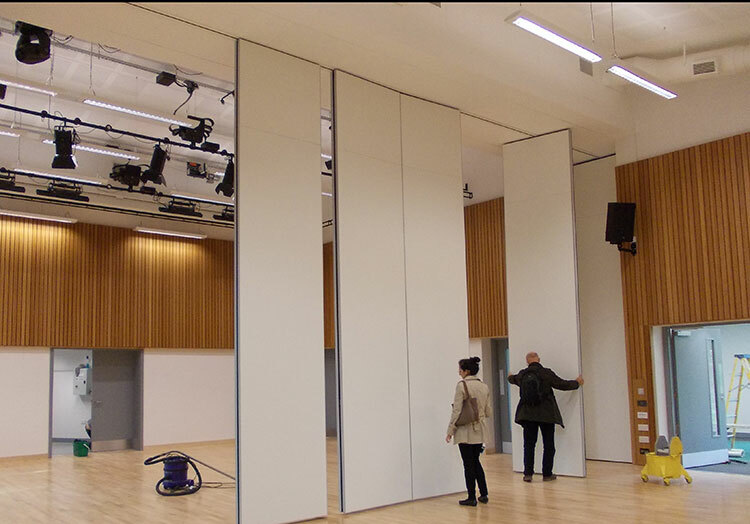 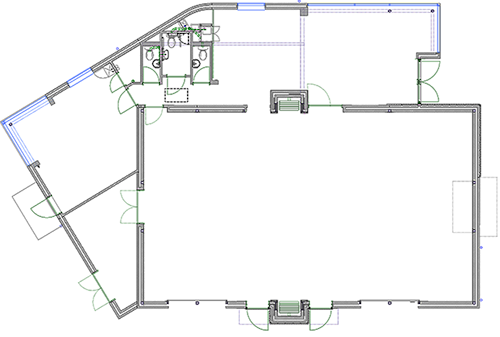 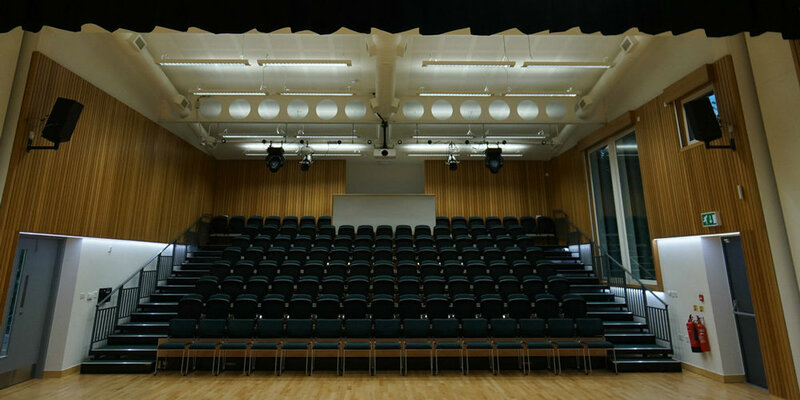 A highly efficient acoustic movable wall along with retractable seating allows the space to be configured as a large hall with stage and tiered seating or as two smaller rehearsal studios. 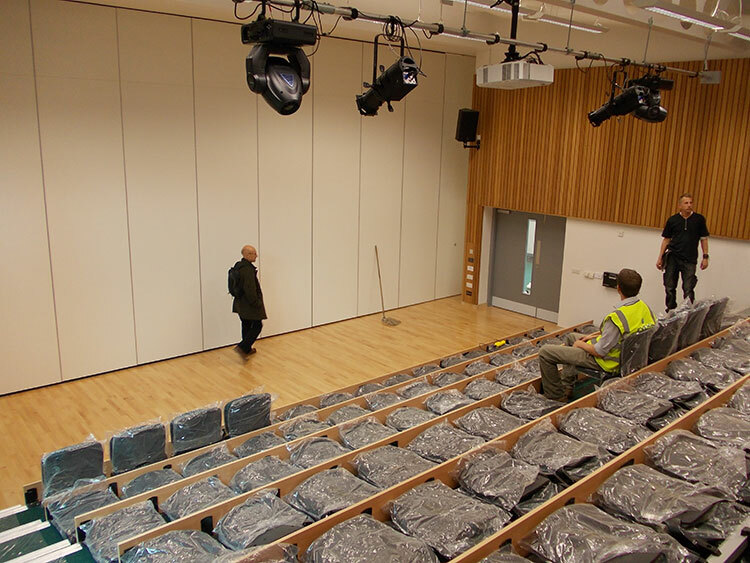 There is a smaller seminar / teaching space, which can act as a “green room” for formal performances. 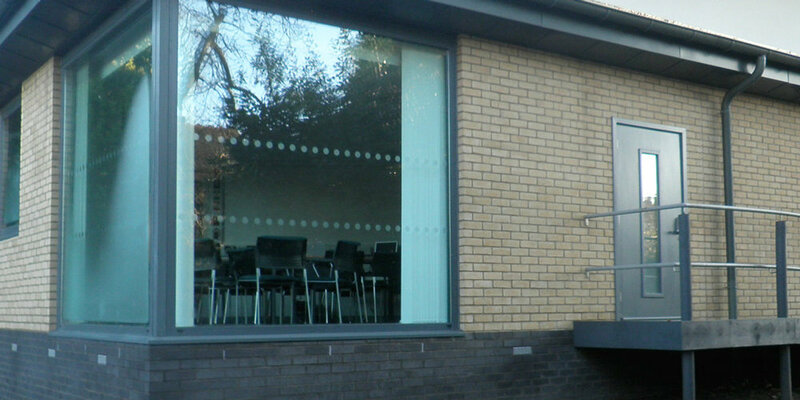 Its garden setting and large entrance foyer enrich the cultural experience of performers and audience alike. 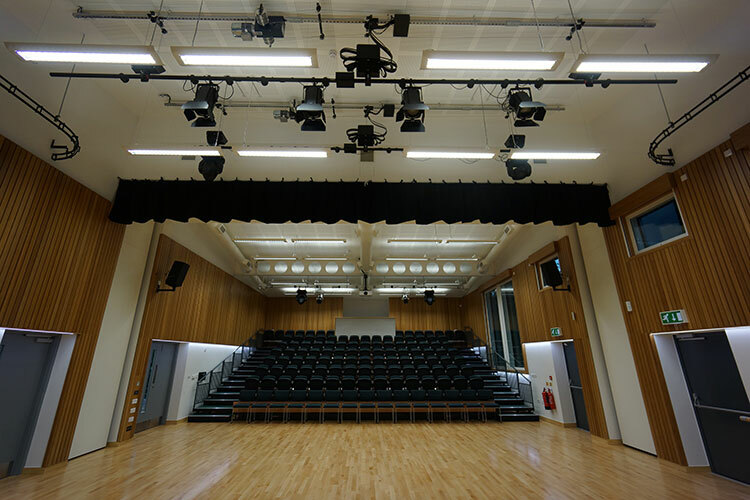 It is an important interface between school and public, now opened as the George Young building. 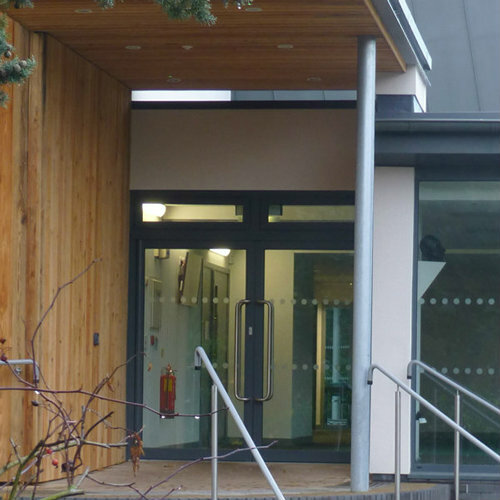 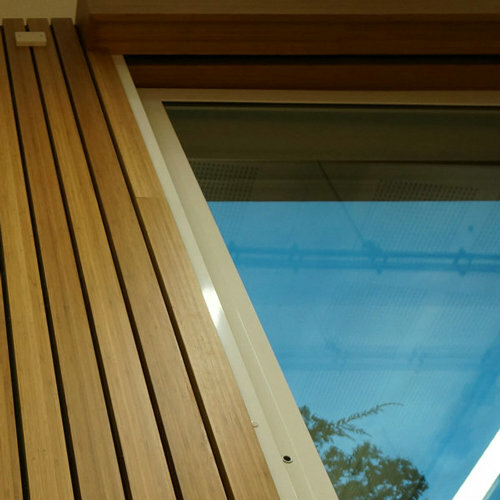 Calibre of building conveys the school ethos.